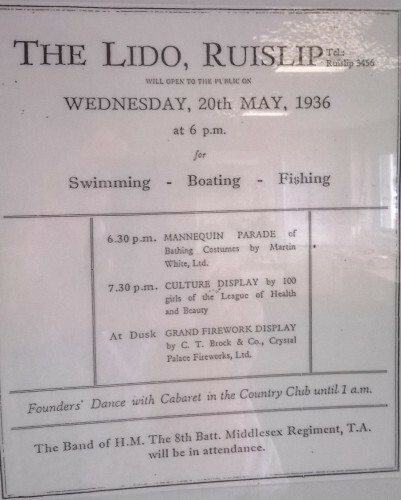 As you can see, the lido back then was a veritable pleasure ground — paddle boats for hire, beach volleyball and more gingham-clad beauties than you could shake a 7-inch of Summer Holiday at. Though the boats have vanished, the lido on a Saturday afternoon still paints a pretty picture, with sunbathers toasting on the sand, kids building sandcastles and volleyball players still at large. You can also fish off certain platforms overlooking the lido, although apparently no one's in the mood for bream today. But what of the swimming? Despite the weather, the waters are conspicuously empty, save the odd person and the bevvies of swans (just like at the Serpentine, you must make sure you don't choke on rogue feathers). On wading in, it's clear why; though the waters are crisp and refreshing, they're also very shallow, and as you go to rest your feet on the bottom, you begin sinking into a viscous, black silt. When you come out of the water, you need a shower, a facility that doesn't seem to be forthcoming. We end up hanging around in the kids' play area, waiting for a timed python to spit on us. Bit awkward really. 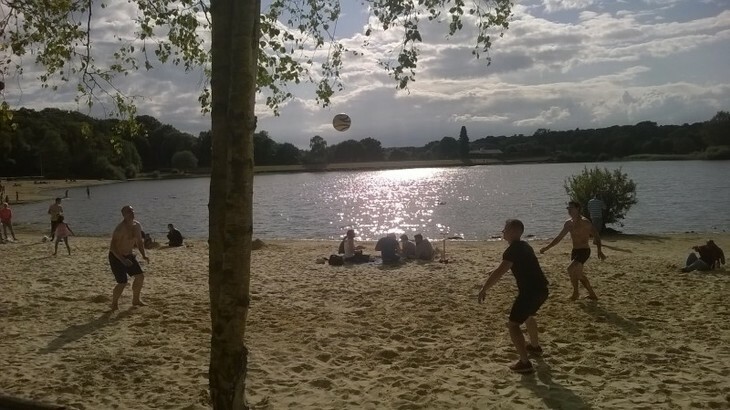 Ruislip Lido may not be the swim of the century, but its attractions and general sense of old-fashioned whimsy (there's also a mini-gauge railway that runs around the water, an Art Deco pub, and the ghostly remains of Battle of Britain House) make it a unique day out. Oh, and the sand is excellent.